I guess some of you might wonder how it is to live in Luxembourg like. In the end it’s a VERY small country, and the capital is even smaller. I already heard opinions, that it must be really boring- that one from someone who has been here only once and for two days! Some people say it rains a lot- true, you cannot argue with that- some say it’s expensive- also true, no comments…However there are advantages of living in Lux, as we call it. People speak at least 3 or 4 languages- almost everyone! The city is an incredible mixture if different cultures, even if you think you hear French all the time. Try to speak English, Italian or Portuguese, you will see how fast the person will switch to the language you used. It’s a great life standard we have here and the state looks well after the citizens. The gas is CHEAP- really people, come and see it! I also remember that when I moved in here in 2011, the first thing that really shocked me was the variety of foods. 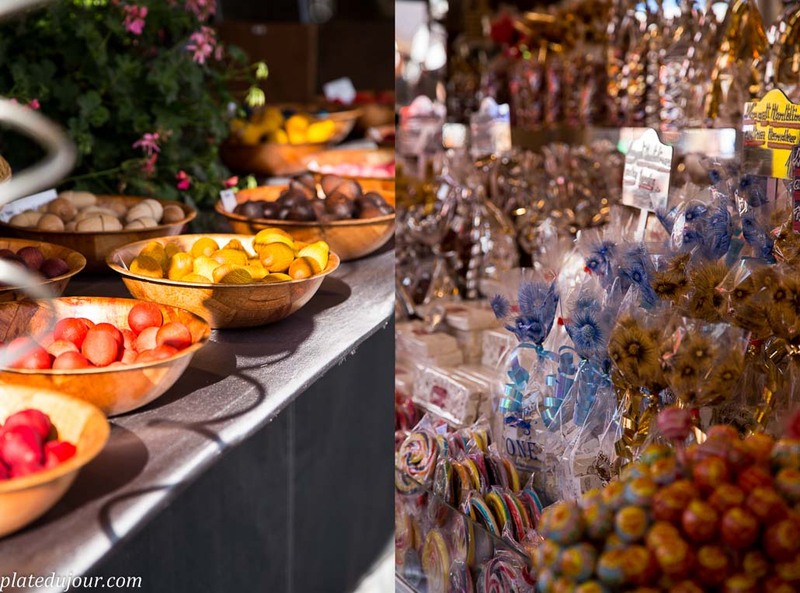 I know sounds kind of weird, but after 6 years of living in Dublin- and if you were in the same situation I’m sure you know exactly what I mean- I felt truly overwhelmed by the choice of all these fruits, and vegetables, and in the sweets sections you could find lots of nice things, not only Cadbury chocolate. The city is clean, and city buses almost free- and not because they are free- it’s because on many occasions when you try to buy a ticket, the bus driver will let you in anyway. Cool isn’t it? I’m sure many of you know that Luxembourg is a representative democracy with a monarch- grand duke- and it’s the only one in the world staying as grand duchy. 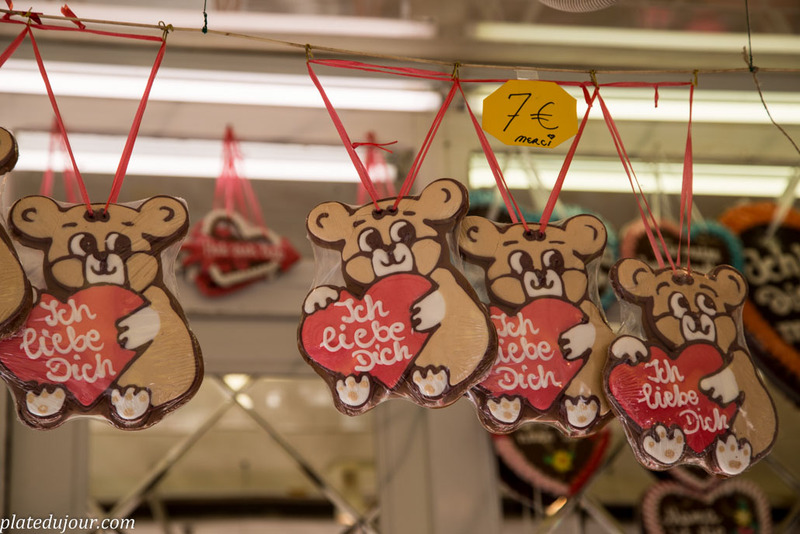 People here love this tradition, and it’s almost like the British queen thing. Two years ago, when the oldest son of the grand duke, was getting married, we had a bank holiday on this occasion, and fireworks- which was fantastic. There were many guests, from different parts of the planet, and honestly everybody could feel it was a special event. Below you can see the official residence of the Grand Duke, however I can tell you that the family lives outside of the city. The palace is right in the city center and the bus tour stops there too. 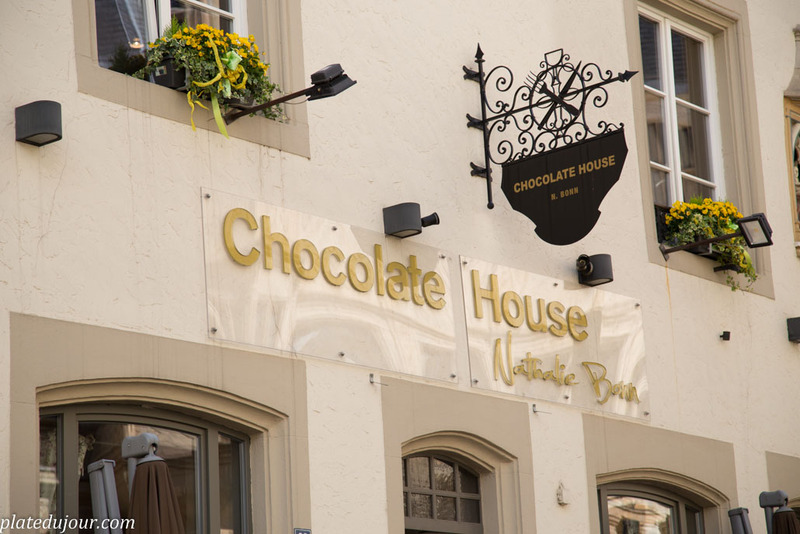 Of course I wouldn’t be myself if I didn’t tell you, that on the opposite side to the palace there is Chocolate House. In my opinion, one of the best places for a coffee and desert, if you already got tired of sightseeing and need a quick pick up. 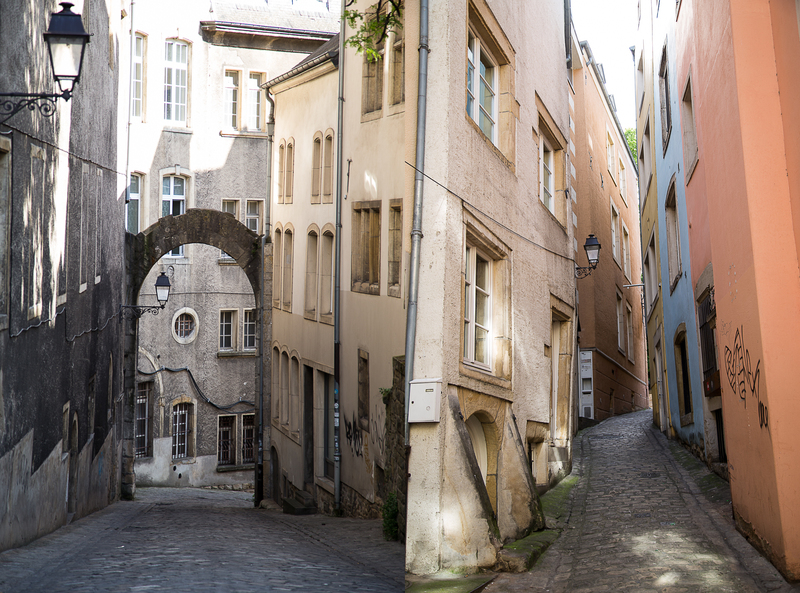 Luxembourg can surprise you by its landscape and the way it was built. 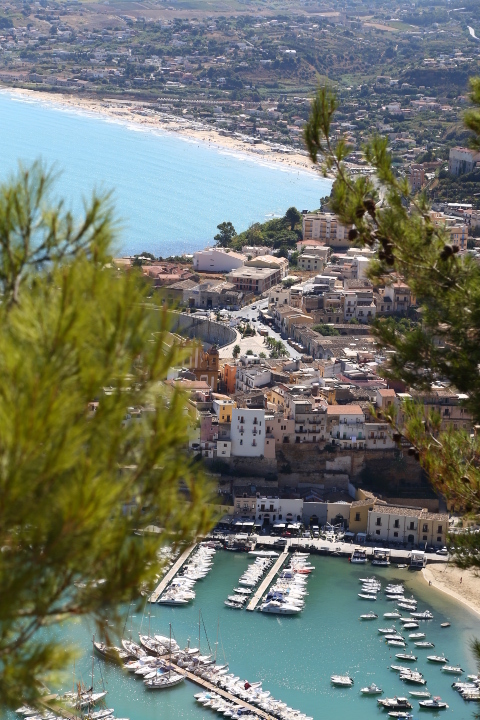 The city is sort of divided into a few parts, which can be seen easily if you go one of the highest points, very close to the palace. Ask for the old prison area, and when you get there you will see probably the oldest part of the city. 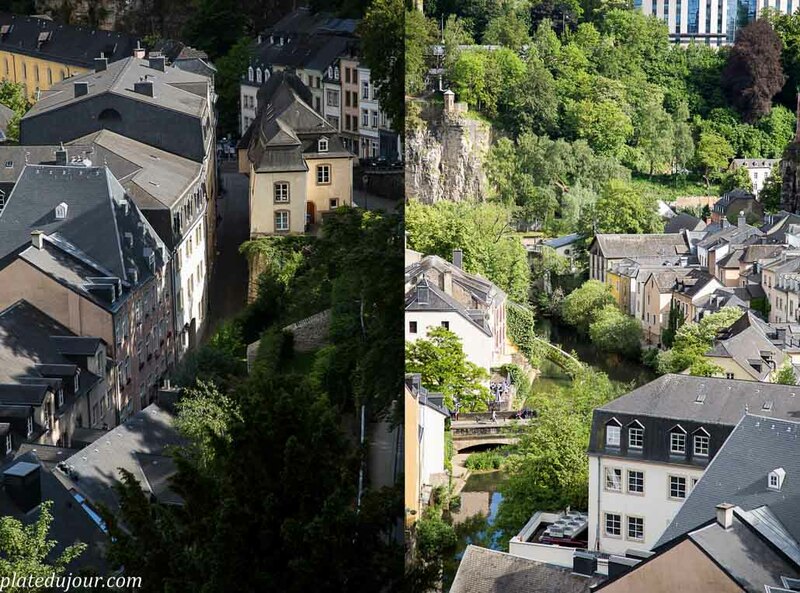 It is also true, that this is one of the most beautiful and the most picturesque parts of Luxembourg. What I like about Luxembourg it’s the fact that is so green. I live in the city center but every day on my way to work I walk through this park. I guess this is the charm of a nice little town really, not even a city. In the summer you will see here people playing football, reading, getting tanned or having their lunch. 5 minutes walk from the main square! The main square then. It’s a nice place, full of restaurants and bakeries and cheese places of course! The season starts usually in April-May and basically until the weather makes it possible for us to stay outside, we would have a drink or a dinner out. 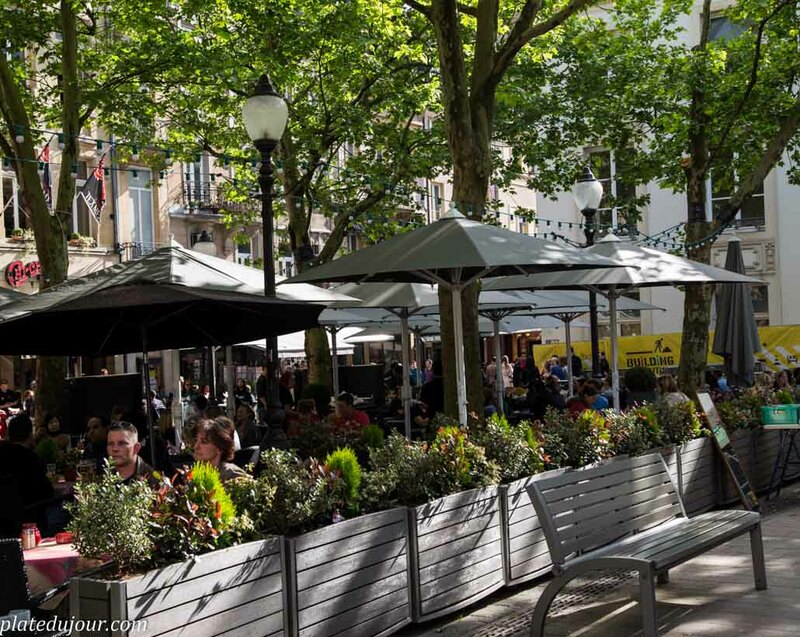 If you think of nice lunch around the main square, there is one place I know- for something quick, or even a sandwich. Paul is one of those little fancy grocery shops, where you can eat something nice or just grab a homemade sandwich. Pricewise it’s great- 2.90 EUR. Price for lunch is average as for Luxembourg- between 10-15 EUR. I don’t know many restaurants in the city center, however there is one place I can recommend. I have to say it right away- it’s not cheap but think about it. 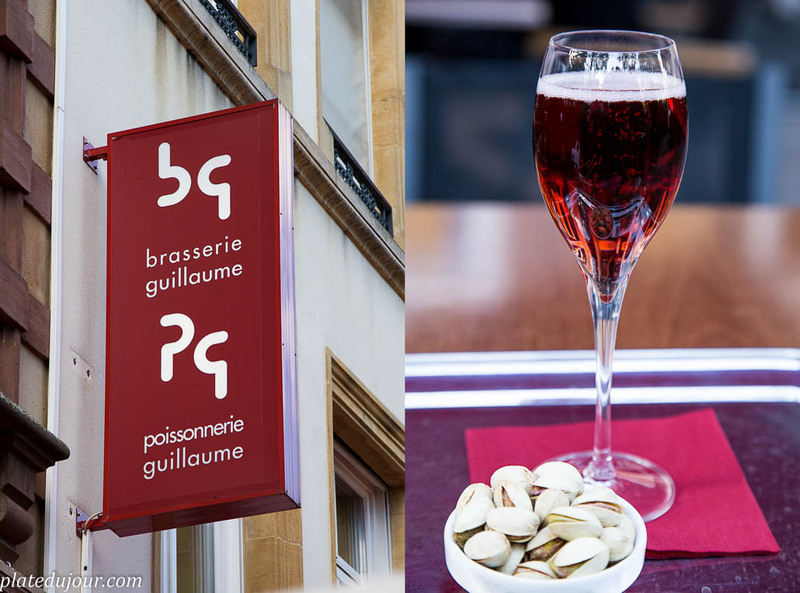 Brasserie Guillaume has its reputation. It’s a typical frutti di mare place, and I can tell you that the cheapest dish from the menu, which is spaghetti with prawns would fully satisfy your stomachs. It will have to anyway. Mostly due to the fact that it’s a crazy price of 29 EUR, but it is worth it. 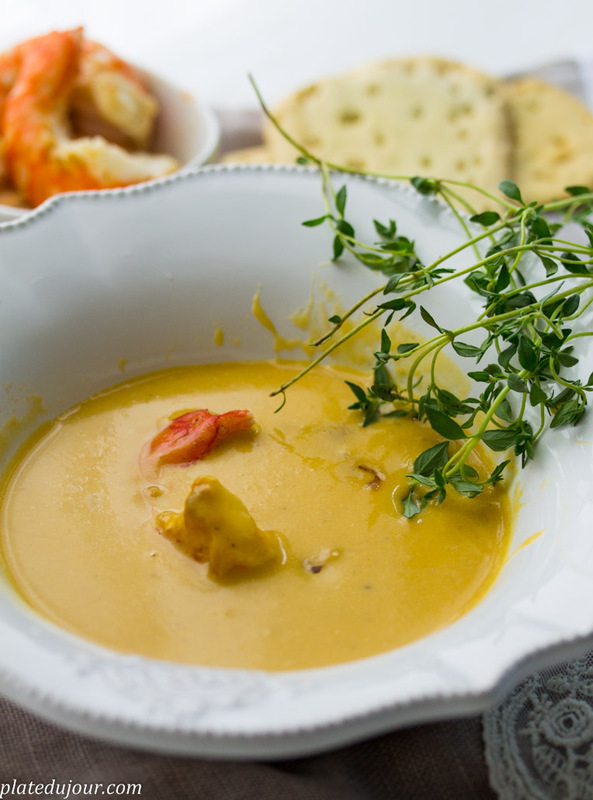 What you see on the pictures, it’s a typical dish- a selection of sea food, prepared on the spot as you can see. Actually the waiter saw me looking at him while he was preparing it, so he kindly left it aside and I could take some pictures. Real piece of art, you got to admit. After lunch or dinner it’s time for dessert and there is only ONE place where you should go to. This is, as my boyfriend says, where the magic happens. 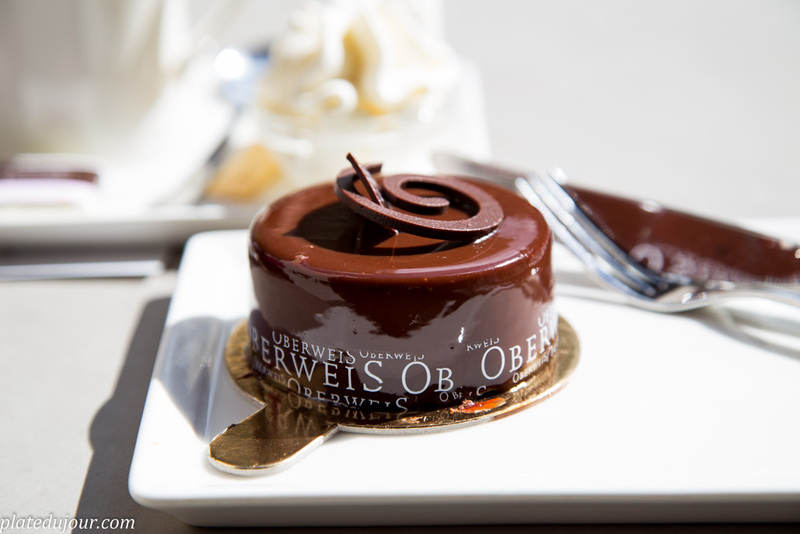 Oberweis. This is the best place to get a coffee and cake. I honestly admit, I’m there almost every day…I tried basically every single dessert and it has never been a disappointment. After the coffee and desert a little bit of entertainment wouldn’t do harm I guess. 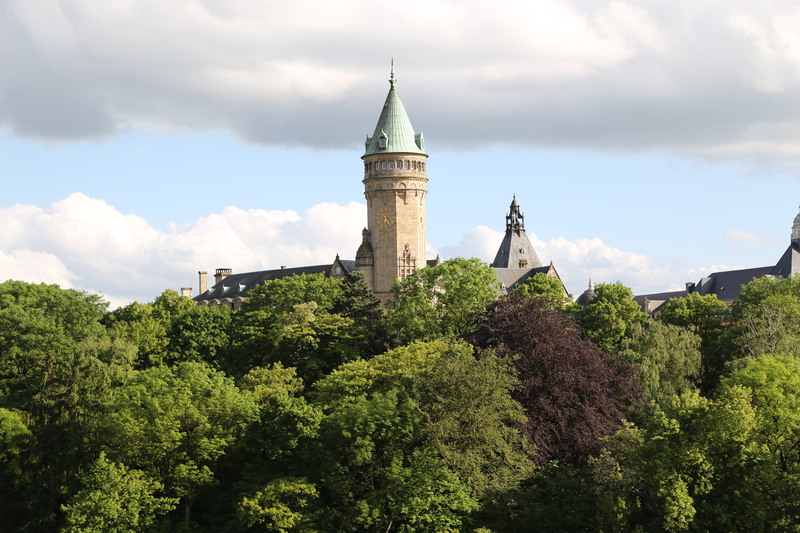 Each year in Luxembourg we have those entertainment parks, where there are carousels, lots of strange foods and plenty of things to do and to see. 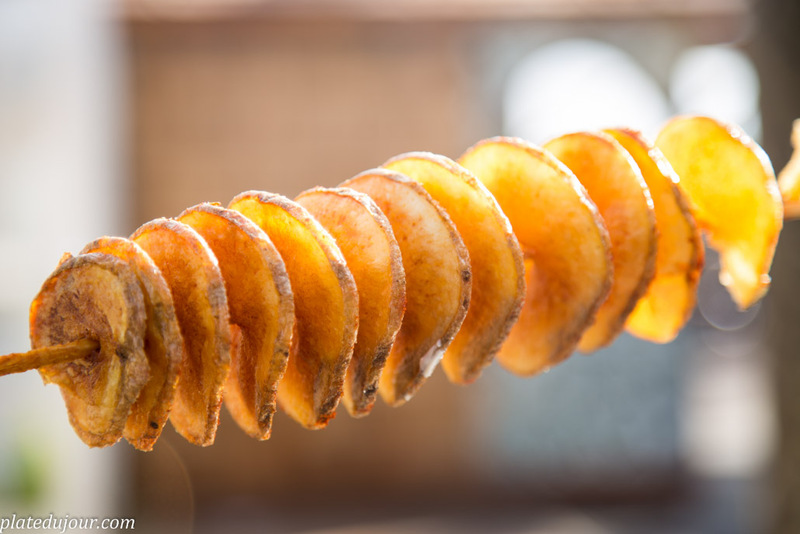 For those of you who were wondering what it was- it’s a potato! I thought it was an apple to be honest. You can also walk around the city center and just enjoy the view. 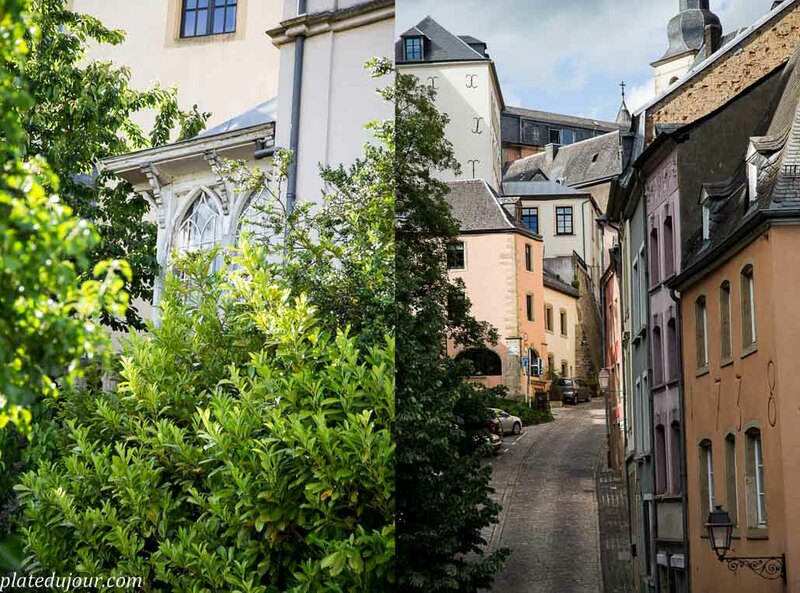 Luxembourg is very old, and its architecture is not only stunning but also well preserved. 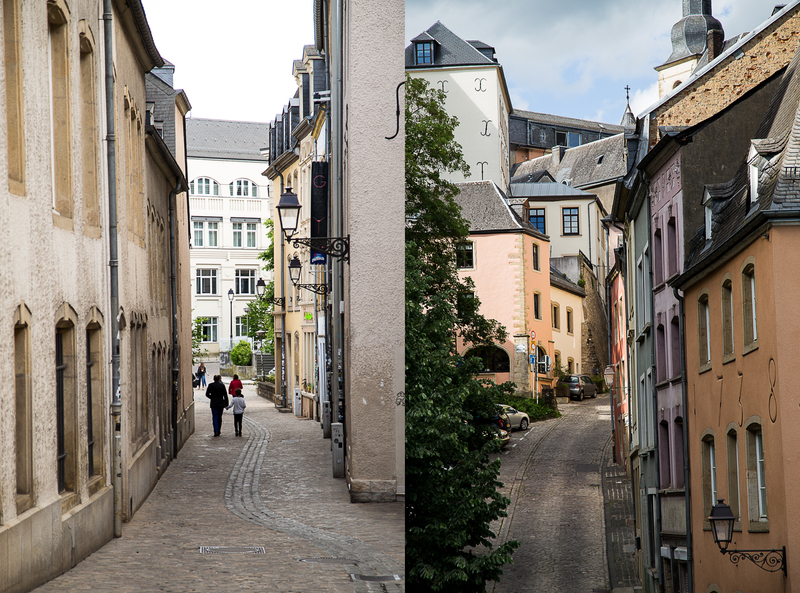 What I also love about Luxembourg is how it links the past with now and the future. I showed you here only the area of the city center but there is more to come, since Luxembourg means not only the capital itself, but also all the castles that you should visit, and many other things. So I guess you will hear about Luxembourg again and very soon. 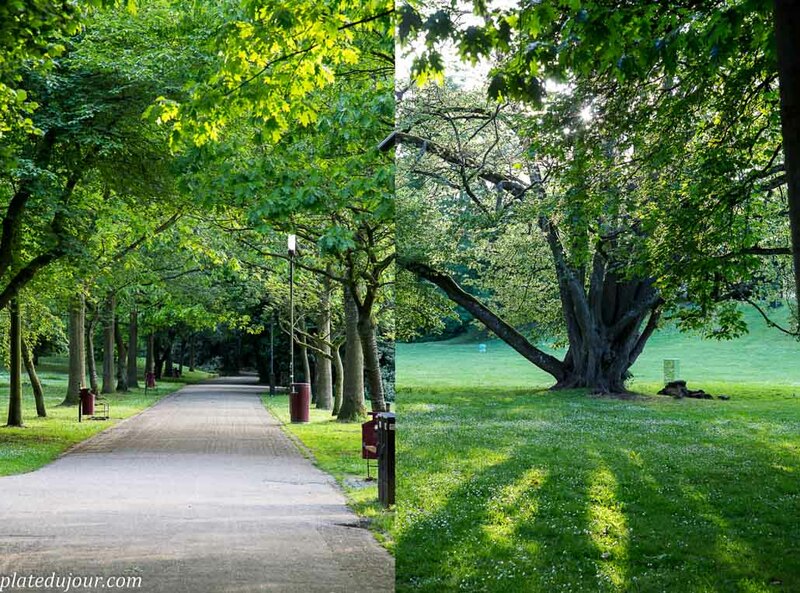 Your photos are gorgeous and it seems like a lovely place to live. 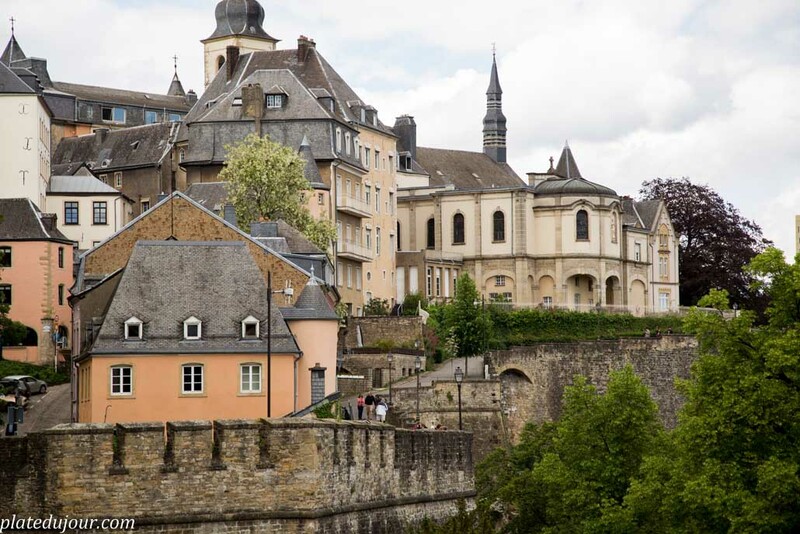 I visited Luxembourg for two days back in 2002 and found it charming and beautiful. I saw the castles and walked around the city center and somehow ended up at a Chinese restaurant for dinner. I have to say, it was some of the best Chinese spareribs I’ve ever had! I can’t recall the name of the restaurant, but it still holds fond memories for me. 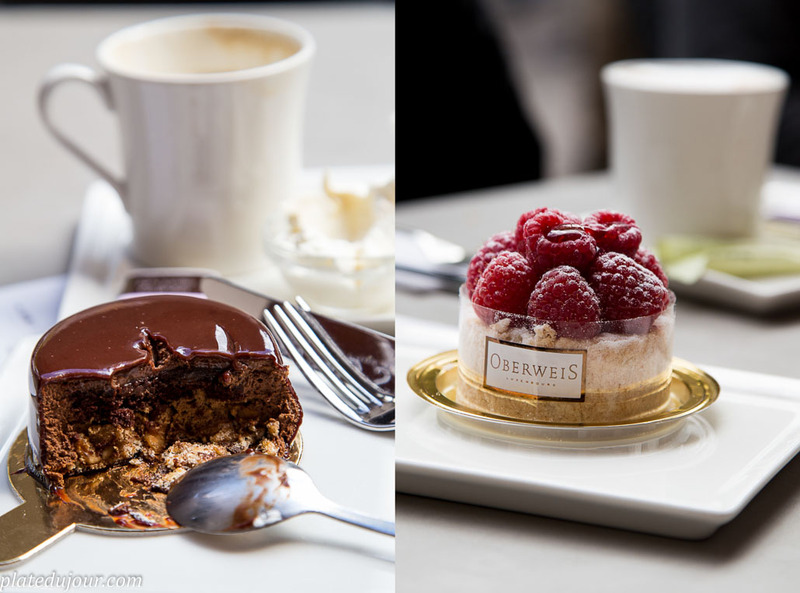 If I’m ever there again, I will definitely try Oberweis as those desserts look so good!